Beautiful large shoulder bag with optional cross body strap! Easy Chevron or Ombre pieced front pocket. Inside there are 8 pockets and room for your IPAD or Nook. Optional and Order these separately: Uses 2 sets - 1" Swivel Hook & D Rings (Pink Sand Beach Designs items: 220 - Silver, 221 - Antique Gold, 222 - Black). 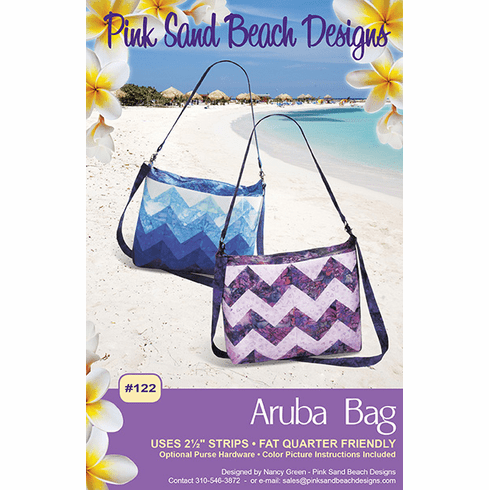 If you make Aruba with the double strap you will need the swivel hooks / D Ring hardware on the bag.